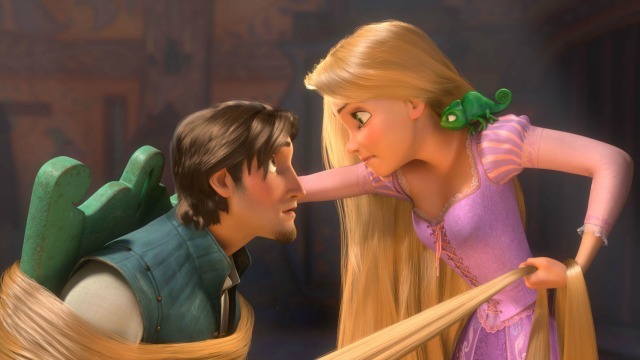 Disney Channel has begun production on Tangled, an animated series based on the 2010 feature film, with Mandy Moore and Zachary Levi reprising their roles as Rapunzel and Eugene (aka Flynn Rider). The series, produced by Disney Television Animation and developed by animation vets Chris Sonnenberg (Enchanted) and Shane Prigmore (The Lego Movie), will premiere in 2017 on Disney Channels worldwide. It will feature music by Oscar-winning composer Alan Menken and lyricist Glenn Slater, who wrote the score for the feature film. The series is set between the events of the feature film and the start of the 2012 short film, Tangled Ever After. It unfolds as Rapunzel (Moore) acquaints herself with her parents, her kingdom and the people of Corona. Her irrepressible spirit and natural curiosity about the world drives her to the realization that there is so much more she needs to learn before she can truly accept her royal destiny. She boldly puts her crown and impending marriage on hold to seek out epic adventures, much to the dismay of the King who, after missing out on Rapunzel’s youth, must accept that his daughter is now an independent young woman. Accompanying Rapunzel on her journey is Eugene (Levi); the plucky chameleon sidekick, Pascal; the no-nonsense horse, Maximus; the Snuggly Duckling Pub Thugs; and newcomer Cassandra, a tough-as-nails handmaiden, who becomes Rapunzel’s confidant. Sonnenberg is also executive producer and supervising director and Prigmore is co-executive producer and creative director. Jase Ricci (Teenage Mutant Ninja Turtles) is story editor. Claire Keane (Frozen, Tangled), daughter of Glen Keane who was animation supervisor on the feature film, consulted on development of the series. Emmy-winning Kevin Kliesch (Tangled Ever After) will compose the score.